In large bowl, gently mix ingredients. Refrigerate 15 to 20 minutes before serving. 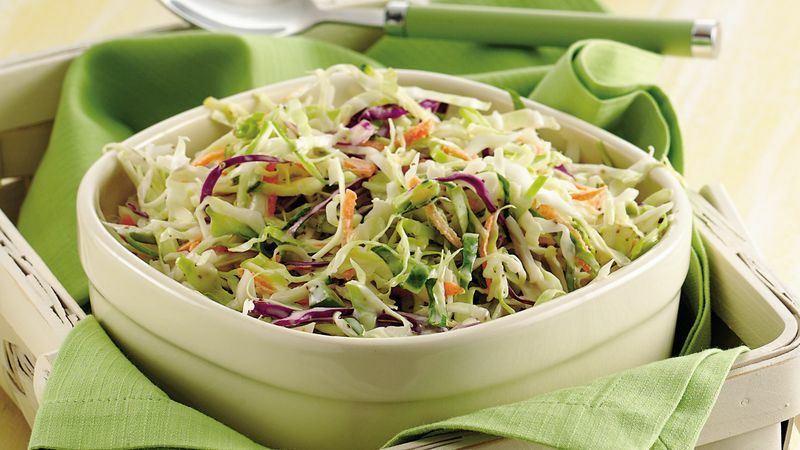 One small head of cabbage, shredded, can be substituted for the coleslaw mix. Already shredded cabbage, called coleslaw mix, is sold in the produce department next to the bagged lettuce.